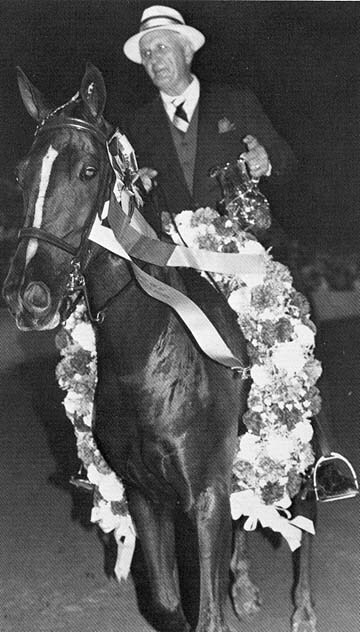 How many riders from the state of Ky can you name that rode world champion walking ponies? I'm not familiar with Kinser, what did he ride? I was not aware of that. Eubank is right up the road from where I grew up. I was wondering when someone was going to add that one! Pam Wood also rode Mud Slide Slim, as well as her sister Diane. After my time OHM..............what town was she from? How many WGC trainers can you name that have also won a WC title in the pleasure division? Actually, I guess Ray Gilmer is it.............I was thinking of Wallace Brandon, but then it dawned on me that Wallace had never won a WG Championship. He did train one of them at one time, however. Wallace Brandon has won in both divisions. 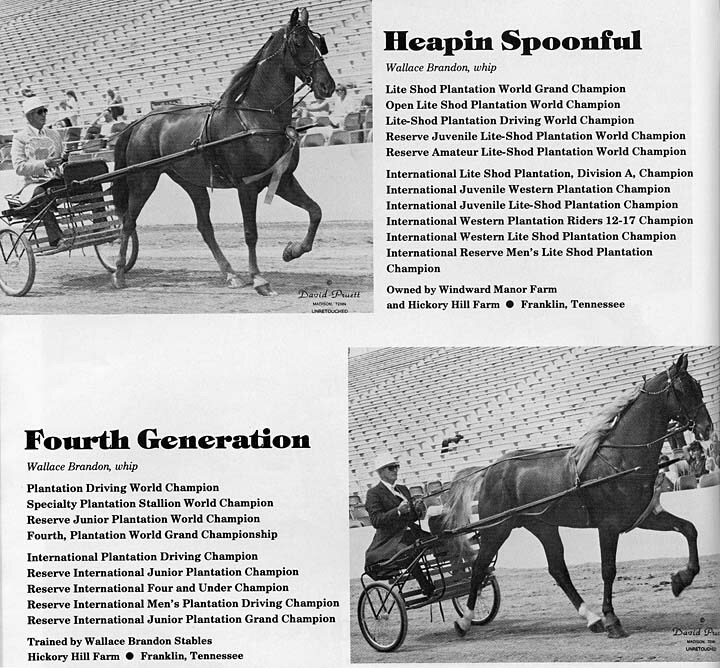 That's right, Cuz has won many performance world championships and also at least one lite shod pleasure championship as well as several pleasure driving championships. He has never won the "big stake" however; probably the most notable trainer to never win the big one in my estimation. Who started Black Magic Woman and what was her real name? I talked with Ernest Upton today who had been with Wallace many of those years and he said Wallace had won every professional class at the Celebration except the Big Stake. I was surprised to see that Ernest has joined forces with young Mac Benham. I am not sure how all that came about, but Mac could sure learn a LOT from Ernest. Hope that works out well. Glad to see you back on here, Stats!! Mac Benham is very lucky to have Ernest . He is among the best! Didn't Black Magic Woman come from the trainers around Dixon, MO ? I can't think of their names, Magic Marker should know. Speaking of Ernest, I believe he was the first person to sit Mac B. up on a horse. There is a lot of respect on both sides of that new team, so I'm told.